The original and the best palm leaf Panama style hat. Cool in every sense of the word! Have you worn a Palm leaf hat yet? 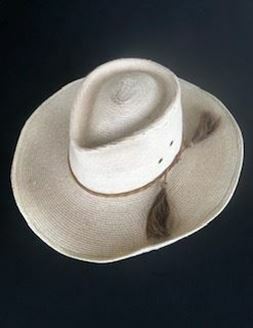 So much cooler than the tradtional felt hats but still durable, mouldable and hard wearing. Our hats are Fair-Trade hand crafted from 100% Guatemalan Palm leaves and made by traditional artisans. This COWBOY style has wire in the rim so that it can be moulded to your own style by hand and can be easily reshaped with a little water. These practical hats can be used in the rain and still keep their shape. 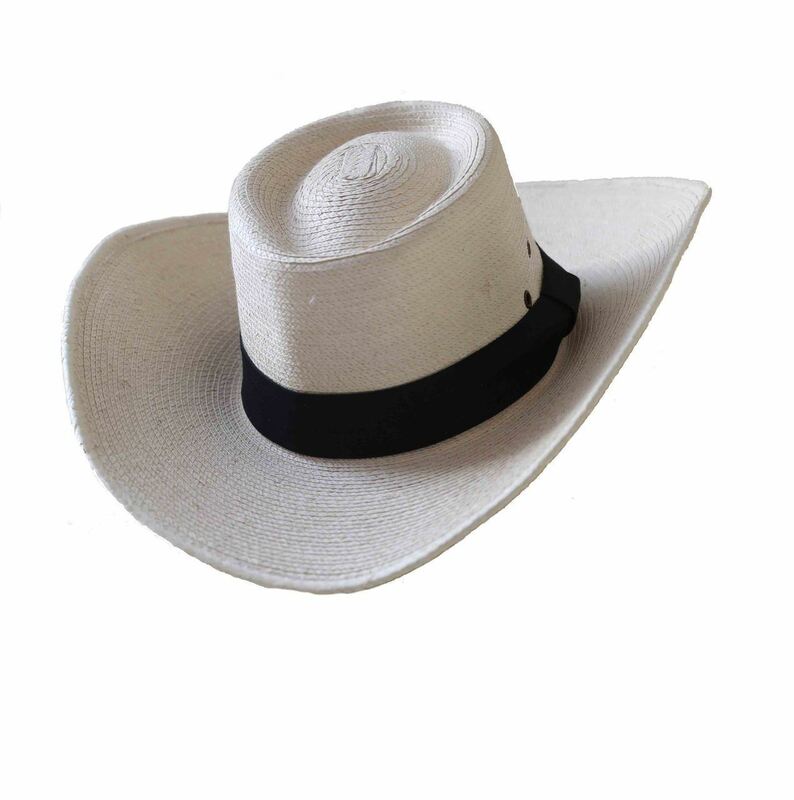 PLEASE NOTE hatband supplied with hat is black ribbed ribbon style as per white background image. Hats in images with the Plaited bands have been personalised by owner. (Stay tuned as we will have handmade hatbands soon). Join the palm leaf hat revolution and see what all the fuss is about.